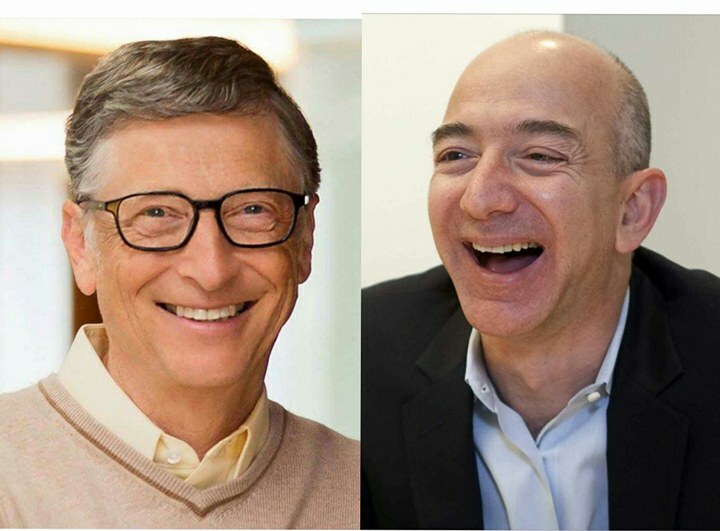 World's richest man, Bill Gates, who has held the title for many years recently lost it to the founder of Amazon but fortunately for him, he regained it back after few hours. Amazon founder and CEO Jeff Bezos became the richest man in the world on Thursday morning, when a sudden surge in Amazon stock made him $1.5 billion overnight surpassing the founder of Microsoft, Bill Gates. His fortune grew to over $90 billion that day. For several hours, Bezos was the richest person on earth but unfortunately for him, he lost the title later in the day when Amazon's stock dropped, returning him to second place, with a net worth just below $90 billion.